2AB: 110 dB Step Attenuator: Adds a 10 dB/step attenuator with 110 dB range. 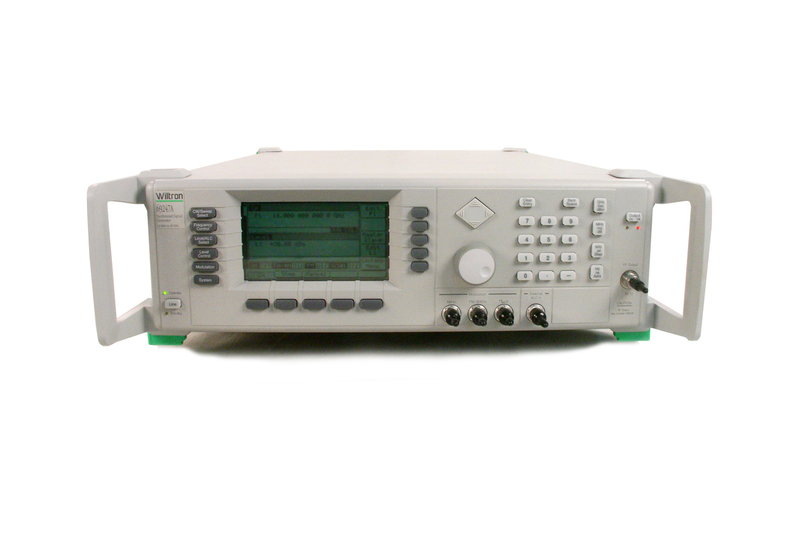 06: Phase Modulation FM Provides phase modulation capability. FM input, FM output and FM generator become FM/FM input, FM/FM output and FM/FM generator. The 69369A is a part of the 69000A series of synthesizers. The 69369A is a Synthesized Signal Generator with a frequency range of 0.01 -40 GHz, and maximum output power of +13.0 dBm depending on frequency. There are twenty independent, presettable CW frequencies with 1 kHz resolution, and the switching time is less than 40ms to be within 1 kHz of final frequency. With a user friendly menu driven by the use of softkeys, this signal generator is ideally suited to benchtop or A.T.E. applications. Some standard features include: Step Sweep, Power Sweep, Alternate Sweep, INT/EXT AM, FM and Pulse Modulation.